The PARADE study will focus on 300 patients suffering with rheumatoid arthritis. Although Apple's ResearchKit is almost two years old, the platform has mainly been reserved for clinical studies hosted by universities and medical researchers. Hundreds of thousands of people are already contributing data for studies focusing on asthma, diabetes, breast cancer, autism, epilepsy and melanoma, but now drugmakers are getting in on the act. Almost a year after it said it was readying studies using Apple's health data-collecting tool, GlaxoSmithKline (GSK) has confirmed the launch of a new research app to help monitor patients with rheumatoid arthritis. GSK's Patient Rheumatoid Arthritis Data from the Real World (PARADE) study is the first of its kind and is the first time a major pharmaceutical (or big pharma) company has embarked on such a project. 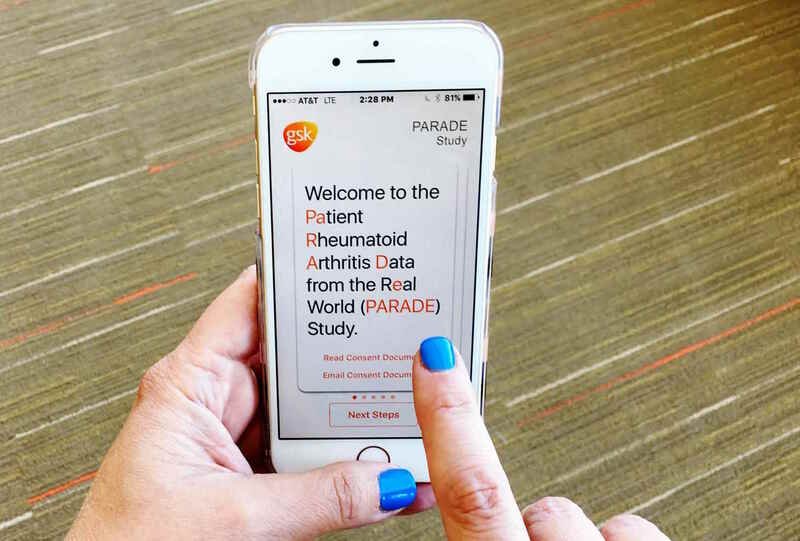 PARADE is designed to look at the impact of rheumatoid arthritis on a patient's life, by using iPhone sensors to collect information on joint pain, fatigue and overall mood. GSK will track the activity and "quality of life measures" for 300 patients over a three-month period. Although GSK uses over 40 different technologies to collect health data, ResearchKit allows doctors, scientists and researchers to collect data more regularly and accurately from patients via their iPhone. It's not testing a new treatment yet, but the company intends to use the data it collects to "develop medicines more effectively."